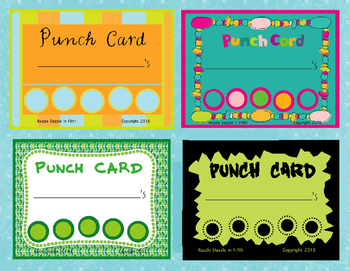 Punch cards. 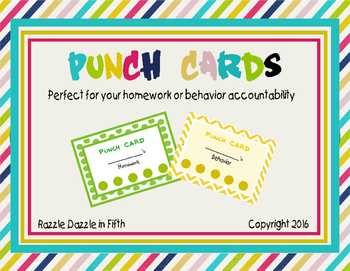 Both large and small punch cards to use for behavior management, homework accountability, or whatever fits your classroom plan. 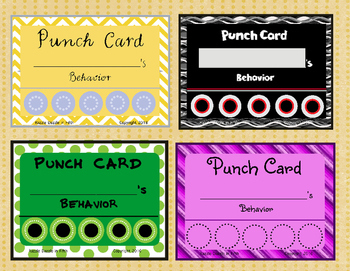 Each card has 5-6 punch spots and a place for student’s name. I have included blank copies of both small and large versions for your specific rewards or incentives. 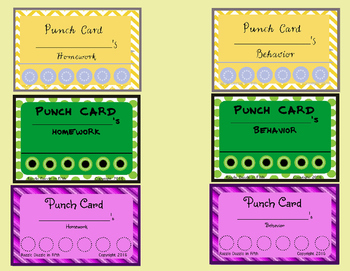 Rewarding your students with these Punch Cards can be extended by collecting full cards and having weekly or monthly drawings for lunch with the teacher, computer time or other incentives kids will enjoy working toward.